Ecological Land Services (ELS) is excited to announce that we have added five new owners! Each of the new owners are currently lead biologists with our firm and have a combined 63 years experience in environmental consulting and permitting. With a few years of experience under his belt and a lot of determination, Francis Naglich began ELS in 1996 working out of his own basement. He employed Jacqueline Massey (Jak) as his bookkeeper and she signed on as an owner in 2007. With the addition of the five new owners named below, ELS will be lead by seven owners going forward. Since our founding, ELS has gained a diverse client base with our cost-conscious and common-sense approach to environmental permitting. As a company, we pride ourselves on our respectful working relationship with regulatory agencies and our ability to sensibly balance environmental regulations with all types of development needs. We have built positive working relationships with multiple consulting companies through teaming together on projects. Each of our new principals has a considerable amount of time invested in ELS so we know that bringing them in as owners will ensure those positive relationships with our clients, other consulting agencies, and the regulatory agencies will continue for years to come. Andrew Allison has a B.S. in Environmental Geography from Western Carolina University, a B.A. in English and an M.A. in English Studies from Western Washington University. Since starting his career in wetland science, he has completed wetland and stream delineations, prepared critical area determination reports, and designed wetland and habitat mitigation plans in southeast Alaska, Washington State, and Oregon. His experience ranges from critical areas analyses for small-scale private development, public infrastructure, and commercial projects, and includes single-family residences, schools, utility lines, regional retail centers, industrial facilities, and business campuses to wetland mitigation banking and regional wetland inventories. 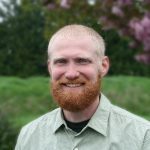 In addition, Andrew has worked in partnership with the Washington State Department of Natural Resources and the U.S. Forest Service to accomplish invasive plant management goals in the Puget Sound Region, the North Cascades, and eastern Washington. Andrew’s diverse experience coupled with his excellent communication skills make him instrumental in ELS’ success. Karey Bock has a B.A. in Environmental Science and Regional Planning from Washington State University. Karey has been with ELS since 2005 and has worked on a variety of projects to achieve project goals in an efficient and innovative manner. Her experience ranges from small-scale private development to large public projects and includes environmental permitting, programmatic mitigation, developing invasive weed management plans, and wetland delineations. Karey has been involved in developing project scopes and cost estimates as well as monitoring budget and deliverables progress for numerous multi-permit projects. Her projects often involve collaborating and negotiating with multiple agencies, coordinating with clients, preparing multiple environmental documents, and responding to regulatory agency comments. The relationships that Karey has built with our clients and various regulatory agencies are a key component to the strength of ELS. Mara McGrath has an M.S. in Biology and a B.S. in Environmental Science from Western Washington University. 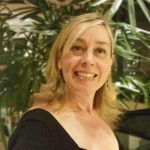 She has worked throughout the Pacific Northwest as a natural resources consultant for ELS since 2001. She is a skilled and experienced naturalist and regularly conducts field work for critical area determinations and manages all aspects of permit compliance related to critical areas. Mara also prepares critical area determination reports and other technical reports and applications related to Section 401/404 environmental permitting and state and federal-listed habitats and species. She has experience designing mitigation sites, preparing mitigation plans, and conducting mitigation site monitoring and reporting. Additionally, she is a skilled botanist and conducts field surveys and research for rare plants and priority habitats. Mara’s clear communication style, keen eye for details, and her ability to successfully navigate through all of the specifics of permitting are an essential piece to the future growth of ELS. Michele McGraw has a B.S. in biology from Portland State University. She has been with ELS since 2005 and is not only a senior wildlife biologist but is also the branch manager for our Clark County satellite office. 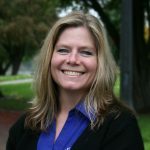 She has experience with environmental permitting projects throughout the Pacific Northwest and is proficient in conducting wetland delineations and categorizations, preparing wetland delineation reports, mitigation plans, various environmental permit applications, and conducting ordinary high water mark determinations. Michele also regularly monitors and supervises the maintenance of mitigation sites and is certified in River Restoration. 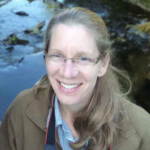 She has performed surveys for state and federally listed amphibians, birds, and mammals, wildlife baseline studies for proposed wind power projects, bald eagle management plans, and performs various wildlife, and habitat inventories. Michele’s thirst for knowledge and her exceptional ability to manage a project to make sure it is completed on-time and within budget is an extremely valuable asset for ELS. Steffanie Taylor has a B.S. in Environmental Studies from Evergreen State College and has been employed with ELS since 2000. She has completed many wetland delineations in a variety of landscape settings, conducted ordinary high water mark determinations, and developed and implemented mitigation plans. Steffanie has prepared various environmental permit applications such as shoreline substantial development permits, special use permits, conditional use permits, SEPA, nationwide permits, hydraulic project approval, 401 water quality certifications, NPDES permits, and ESA documentation for private and public projects of all sizes. 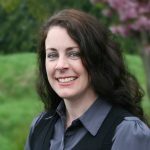 Steffanie is also a certified erosion and sediment control lead (CESCL) and has prepared numerous stormwater pollution prevention plans for a variety of projects in Washington and Oregon. Because of her working experience in Oregon, Steffanie has a deep understanding of the Oregon Rapid Wetland Assessment Protocol (ORWAP) process as well as a good working relationship with the Oregon Department of State Lands (DSL). With her diverse experience and proven track record in permitting processes in Washington and Oregon, Steffanie is an integral part to the accomplishments of ELS.